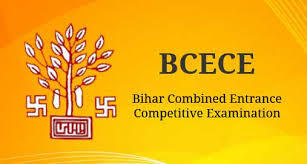 Bihar Combined Entrance Competitive Examination (BCECE) is a state level examination conducted by Bihar Combined Entrance Competitive Examination Board (BCECEB) to allow students admissions into undergraduate programs in prestigious colleges and universities of Bihar for medical, engineering, and agriculture streams. BCECE is also known as Bihar CET. BCECE is one of the most prominent examinations in India that encourages thousands of brilliant students across the country to start their career in the top-notch categories. Various engineering and pharmacy courses are available in both government and institutions accredited by Government of Bihar. These courses are available in colleges outside Bihar with quota seats as well. The candidate must clear the BCECE exam. Minimum 50-60% cutoff mark is required. The candidate must clear the JEE MAIN/BCECE exam and must have passed the 12th with minimum of INR 67% marks from a recognized institute. The minimum cutoff mark required is 62. The candidate must clear the BCECE exam and must have passed the 12th with minimum of 60% marks in PCM from a recognized institute. The eligibility criteria for the course is at least passed the 12th class examination either state board and central board. BCECE is the exam for the qualification. The eligibility criteria are to qualify and clear BCECE examination. The candidate is eligible for +2 exam. BCECE is the exam conducted by Bihar government and based on this the candidates will be given admission. The candidate must clear the BCECE exam and must have passed the 12th with minimum of 60% marks from a recognized institute. Minimum 60 cutoff mark is required. To get admission to this college you have to qualify BCECE examination which is conducted by Bihar government. Also, this examination held in two stage and the students who qualified both stages got admission in different colleges of Bihar government according to their rank. The eligibility criteria is 60% in 12th board & qualifying in BCECE Board. I took BCECE board examination. 65% was the cutoff in BCECE (Civil Engineering).